Austerity has taken far too heavy a toll on police finances, according to West Yorkshire Police Federation Chairman Brian Booth. He said the service needs public support more than ever before. Brian said: “The lifeline we hoped for in the recent budget did not materialise for the police service, leading to further austerity fatigue. 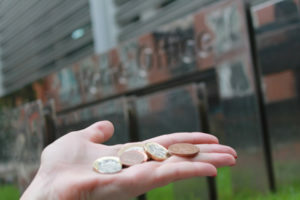 The statement that the country was coming out of austerity may have been good news for some, but not for a service that has seen cuts for the last eight years and potentially for years to come. “We have had four recent reports from separate Government departments all stating that there are serious concerns about police funding and the effect this is having on the service now – with grave warning signs for the future. “What will it take for this Government to listen to its own advisors? “I watched with interest as Shadow Policing Minister Louise Haigh MP highlighted the devastating consequences of the additional pension liabilities imposed on the service from the Government. Only to be met with utter contempt from Policing Minster Nick Hurd, who stated that the police exaggerated the numbers. “West Yorkshire Police has been hit with of an extra bill of around £18 million per year, which equates to 1,200 officers. “Nationally, the bill is £400 million and a loss of 10,000 officers. “This is on top of the losses we have already suffered during the eight years of austerity. This liability will continue for years to come unless the Government intervene and appropriately resource the service. “I would say that in relation to policing, this Government does not abide by the Nolan Principles of Public Life, which should apply to all in the public service. I believe the Government is breaching these principles in relation to objectivity, accountability, openness, honesty and leadership. “So what does this mean for the police service? Fewer officers attending calls for assistance from the public. Hard decisions being made by our police leaders as to what level of service we can supply. Less time afforded to each investigation. “The fabric of our society has changed and it feels like anti-social behaviour that affects many is difficult to resource, but we know that this often leads to minor crimes and then can lead to major crimes. “Please understand and appreciate that a dirty game is being played by this Government against the police and it is our frontline Bobbies who often feel the brunt of public frustration.